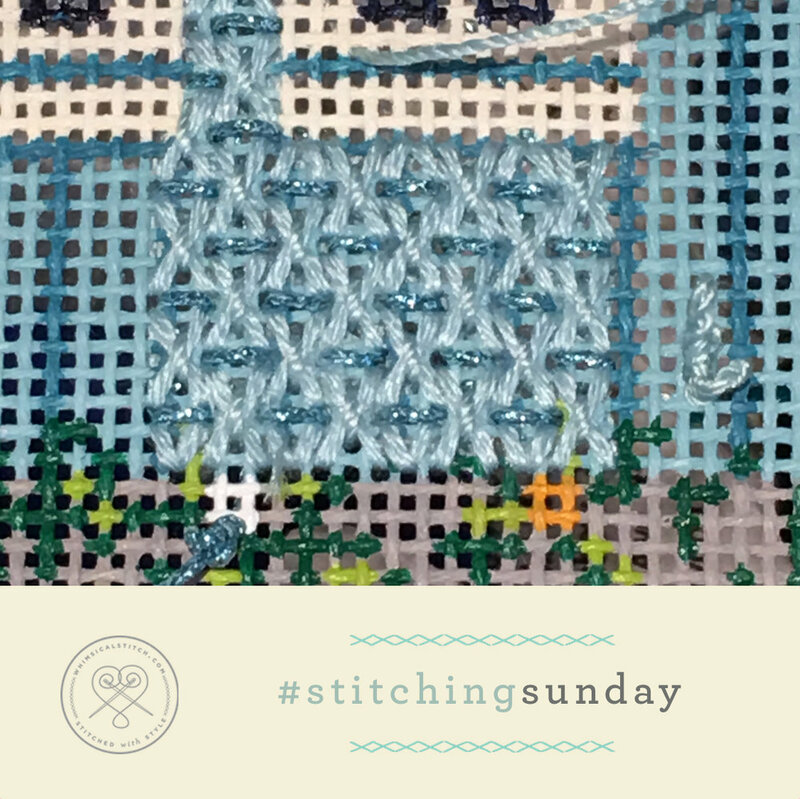 Today's #stitchingsunday is a riff on a post from last year. She stitched up one of her new ornaments with a very recent #whimsicalwednesday stitch. So, of course I love the stitch but I'm thrilled she flipped it on its side. The stitched sample uses two plies of Soie D'Alger and a Sundance bead. I decided to put my money where my mouth was regarding the recent post about the Oblique Tied Diamonds. The original version was large and in charge. As mentioned in the earlier post, I wanted to try it as a house. 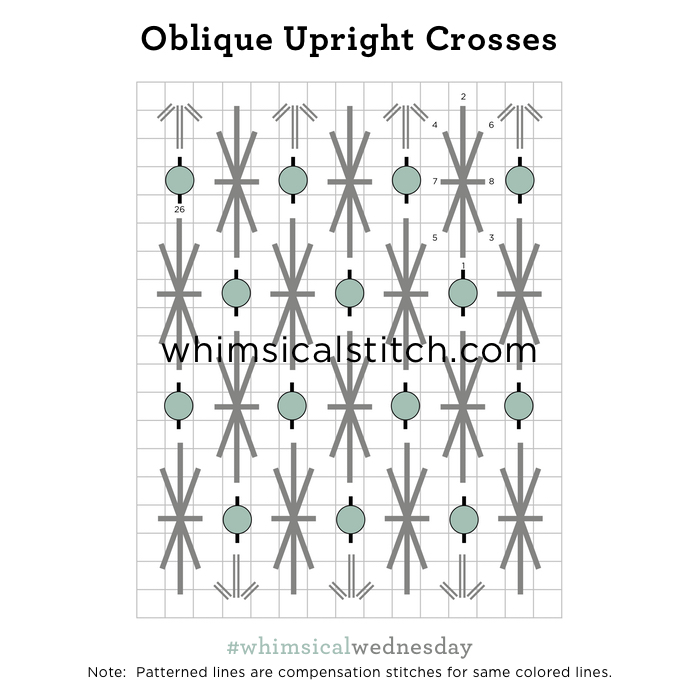 Today's version is much more subtle, as it uses Splendor and Elegance for the cross and the stitch tying it down (gray lines and aqua lines, respectively). 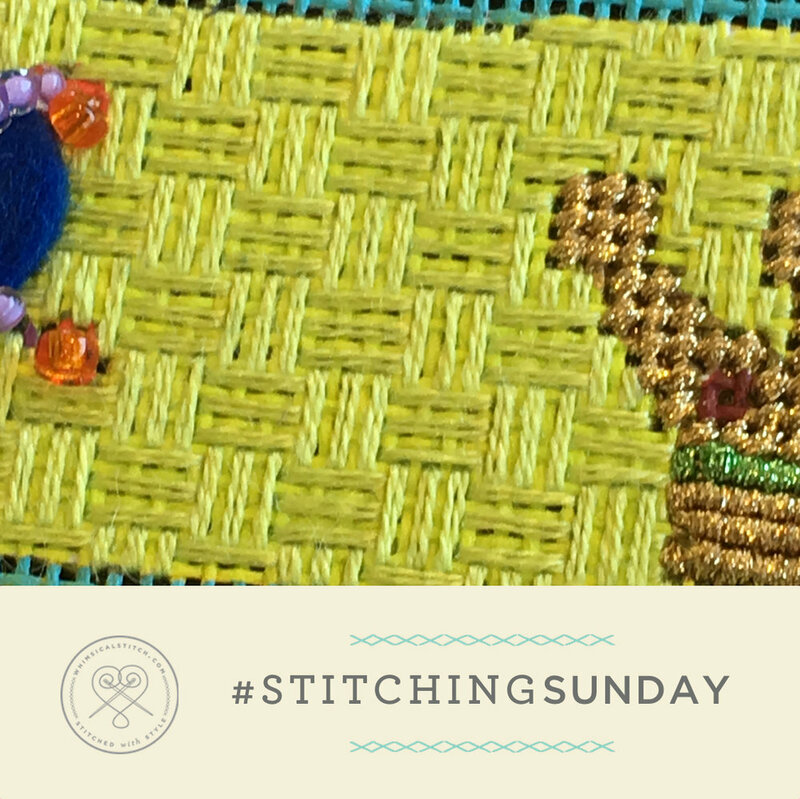 A single vertical stitch with Kreinik Metallics Fine Braid (#8) replaces the bead. In the sample above, it's the front of a house. I think it would also make a fantastic roof.